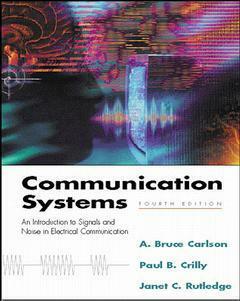 This exciting revision of Communication Systems, a classic text in the communications field, presents an introduction to electrical communication systems, including analysis methods, design principles, and hardware considerations. The fourth edition has been completely updated to reflect current technology in this ever-evolving field. This edition also features two new co-authors: Janet Rutledge of the University of Maryland at Baltimore and Paul Crilly of the University of Tennessee at Knoxville, in addition to author Bruce Carlson of RPI.